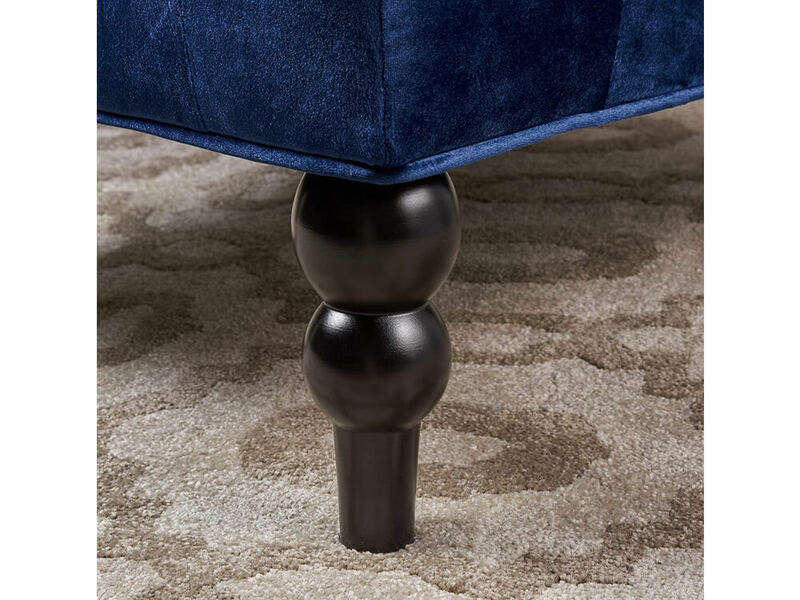 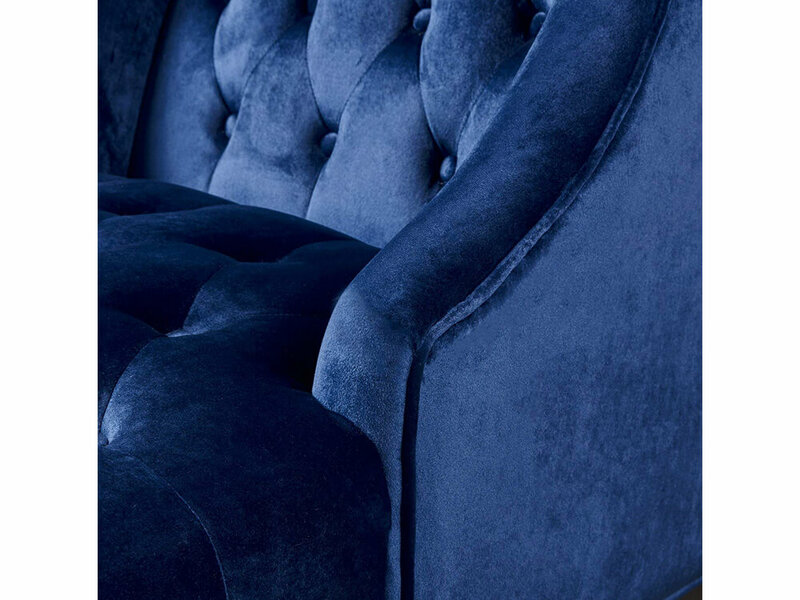 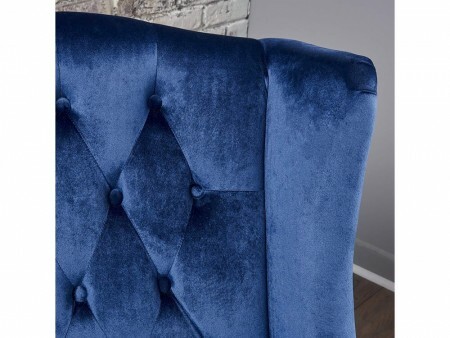 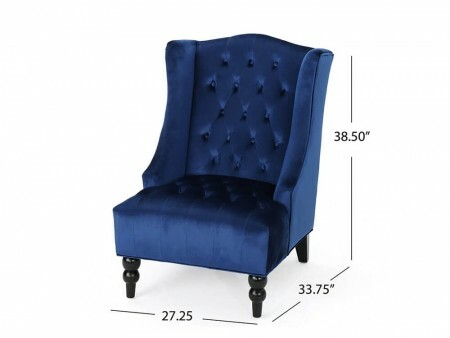 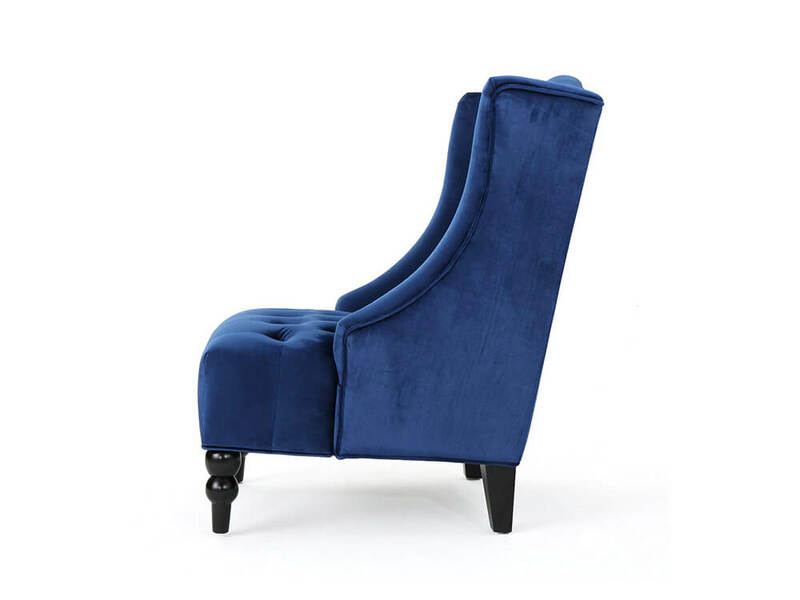 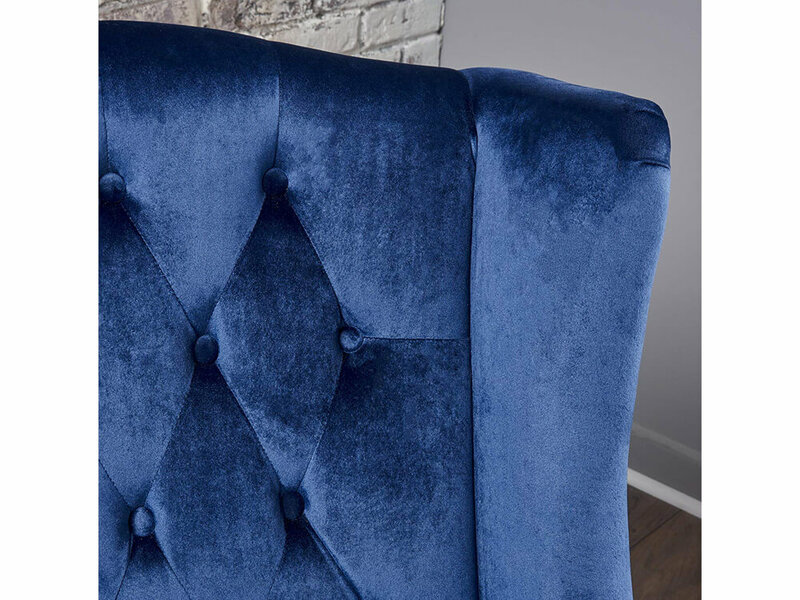 This elegant blue velvet accent chair is a perfect addition for any room in your home. 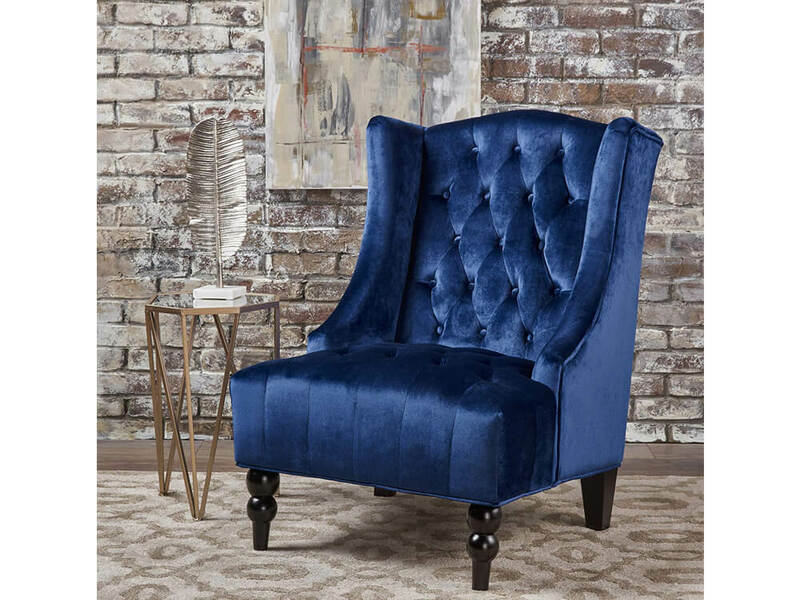 The tufting and curved sides add charm to the overall design. Rent this chair for comfort without compromise. 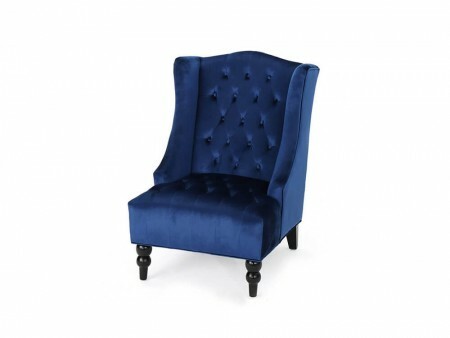 This chair will be a great fit for a fireside evening or a chair to lounge around.